Love the classic cut of the Joe Snyder Bikini Classic, but always wished it came in some jazzy printed colours? Well your wish has come true with the new range of prints to enhance that manhood even more. 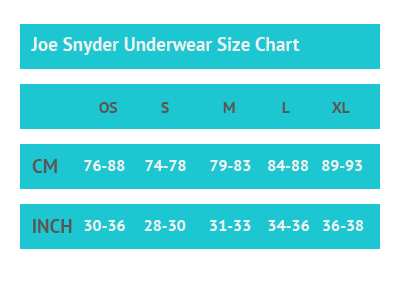 The Joe Snyder Classic Print Bikini is everything you are looking for in a bikini cut brief with a slim cut that is high on the leg and with a low-rise waist it provides your manhood with all the support it needs whilst naturally enhancing your bulge. This bikini cut gives good coverage on the rear with a sleek form fitting style that will make you feel great.